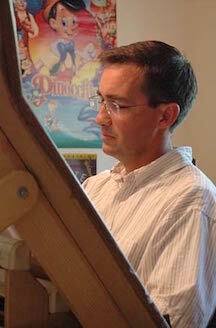 Jared Beckstrand is an illustrator and former Disney animator. He was born and raised in Long Beach, California, and as an adolescent became interested in the art behind the Disney movies and cartoons. His parents believed in the possibility of him working as an animator so he continued to draw throughout his childhood and adolescence with their support. At the age of twelve he began receiving commissions for his artwork. After serving a mission for The Church of Jesus Christ of Latter-day Saints, he entered the field of animation as an assistant animator for Don Bluth Studios. He helped with films Thumbelina and Troll in Central Park. He also worked on Swan Princess for Rich Animation. In 1994 he joined Walt Disney Feature Animation and in his ten years with the company worked on such films as Chicken Little, Emperor’s New Groove, Fantasia 2000, Hunchback of Notre Dame, Hercules, Home on the Range, Pocahontas, Tarzan, Treasure Planet, and Princess and the Frog. 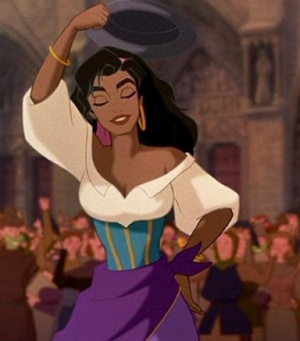 He animated key characters such as Esmerelda (Hunchback), Jane (Tarzan), Pacha (Emperer’s New Grove), and Charlotte (Princess and the Frog). Beckstrand moved to St. George with his family in 2004. He works as an animator with Y Draw and helped create the animation for the movie Middle School: The Worst Years of My Life. He also works as an artist for the Friend Magazine. This page was last edited on 30 June 2018, at 15:58.